Avoiding headaches and heartaches during the adoption process begins with choosing the right adoption agency. Most people wouldn’t dream of buying a new car without thorough research and comparison shopping. Choosing an adoption agency is comparable. You need to exercise your research and networking skills to ensure that the agency you choose will respond to your needs as you embark on the adoption process. The first step to choosing an adoption agency is to make yourself a good consumer. 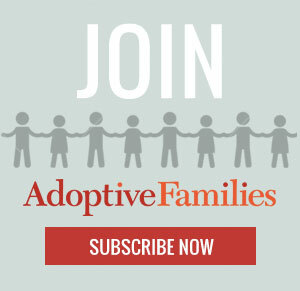 Gather as much information as possible about adoption, agencies and state requirements. Explore the range of available options and the various programs. If your options seem limited, don’t rule out any possibility without thoroughly researching it. Spend at least two to three months investigating all alternatives before deciding what is right for you. Armed with this information, begin evaluating agencies. Find out which agencies offer the kind of programs you are looking for. Many agencies offer informational meetings once a month or so. Attend one, and don’t be timid about asking questions. After all, the adoption agency you choose will certainly ask you a lot of questions! I know that independent adoption center (iac) does. When I’d placed my son, in 2013 I’d almost chose a single woman. I like how you talked about really doing your research and finding out how laws are in your state. I didn’t realize, before, that the laws for adoption vary between areas. We are planning on moving to California and adopting there, so I guess we should start doing our research for how the process works in that state. Adopting a child is such a big decision with so many factors that will affect the rest of your family members’ lives, so it’s important to not rush into things. As long as you do the necessary research, you don’t have anything to fear.